Facebook is encouraging computer specialists to investigate its security systems, to identify the potential risks of hacking into their system. The company has offered a reward of $500 for those who manage to come up with a breakthrough and will be honored by having their name registered in the “helpful hackers” list. This news may bother large number of people who are doing their utmost to stay safe from computer monitoring and menace of cell phone spy software. Hackers have been divided into two different categories because of their activities and usefulness. “Black-hat” hackers are the ones who are involved in malicious activities of damaging the targeted site, while “white-hat” hackers try to find the solution to the problem of potential security threats with their targeted site. So, while the black-hats are a source worry and indignation for the companies, the white-hats prove to be source of rescue and defense against potential security breaches. It’s just like a hero and a villain in a movie, which share same interest, but have different purposes. It has started to become a norm to hire skilled hackers to monitor the company’s security system – for example, BT Managed Security Solutions enable their customers to protect their system by offering the service of hackers find out if there are any issues with it. Similarly, Facebook is taking help from white-hat hackers to look after its security systems – stating categorically the ethical standards that need to be followed. Although the prize amount is awesome and the recognition associated with Facebook, but there is a huge issue that accompanies with it. The issue is money! Like several other big companies, including Google, Facebook have hired hackers of quite heavy wages; so much so that that the amount of money paid to them can change their lives completely. What matters is your ability and brilliance – college degree or experience will be of no use to you then. 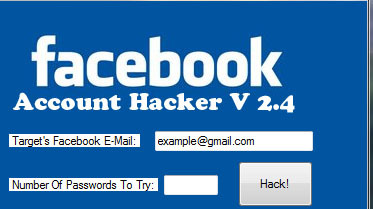 It would not be a surprise if Facebook hires some hackers from its White hats program. In fact the practice has begun with the hiring of George Hotz, the guy who hacked the PlayStation 3 game in June last year. Although “GeoHot” was sued by Sony, but Facebook hired him because of the potential it saw in Hotz that could cater to the social networking site’s security concerns. Among other hackers hired by the companies owning to their hacking masterminds to solve their security problems is Johnny Lee, who got famous overnight on YouTube after successfully hacked the Wiimote controller for Nintendo Wii game console. Lee was hired by Microsoft in 2009. Another example is Ashley Towns, who was responsible for releasing the first iPhone infectious virus, was employed by an Australian mobile app developing company. The act of hiring criminals by these high profile companies, goes on to show the height of desperation to secure their systems.